Franklin Theatre - Dailey & Vincent – The Sounds of Christmas - SOLD OUT! 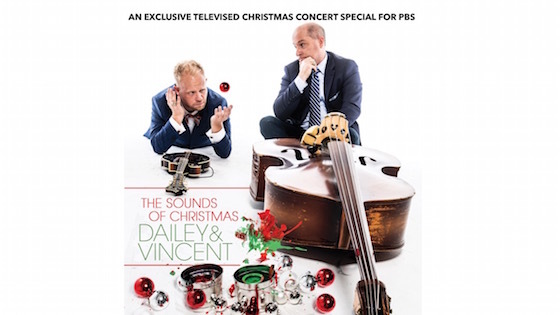 Dailey & Vincent – The Sounds of Christmas - SOLD OUT! It is Christmas in September! Join Dailey & Vincent and special guests as they perform an incredible night of holiday music. This concert will be filmed as part of the PBS Soundstage music series - which is a nationally televised music series aired on PBS. You are invited to be a part of this small and exclusive experience. Come experience a live television filming with lots of music, fun, laughter, and very special guests! This PBS Soundstage Special will air throughout the month of December! Special guest performances include: CeCe Winans, Béla Fleck, as well as additional talent to be announced soon. IMPORTANT NOTICE: This show will be recorded (visual and/or audio) for possible distribution via internet streaming, television broadcast, radio broadcast, audio/video recordings and other means. Attendees may become the subject of and appear in the recording and/or broadcast in background shots, crowd scenes, sounds and other recorded images that capture the essence of the events. Your purchase of admission and entry into these events indicates your consent to being webcast via the internet, televised, videotaped, recorded and/or photographed as part of the production.